If there's one thing we know, it's that Chrissy Teigen doesn't hold back. Prior to welcoming daughter Luna with hubby John Legend, the model had been outspoken about her fertility issues. 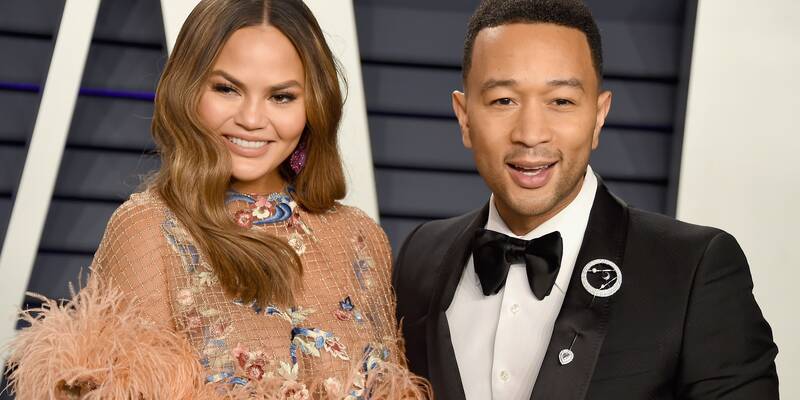 According to Teigen, her journey to pregnancy took several years, later revealing that underwent in vitro fertilization. "I will say honestly, John and I are having trouble," she previously revealed to People. "We would have had kids five, six years ago if it'd happened. But my gosh, it's been a process!" Now, with an adorable 1-year-old and and the possibility of more children in the horizon, Legend recently revealed that their struggle with conceiving has only made them stronger. "Having a baby is a big challenge for a couple, and going through that together strengthens your bond because if you make it through [having a child], you know you can make it through anything," the singer revealed to Cosmopolitan. "I think it’s especially difficult when you can’t conceive naturally. You want to feel like everything’s working properly and want everything to be perfect, but sometimes it’s not. I wouldn’t say we can’t conceive naturally, but I would say that it’s enough of a challenge where it felt like we needed help. We’re lucky that we’re living in an age where we can conceive in other ways. [IVF] brought us Luna and hopefully it will bring us a few more awesome kids, too." He continued, "There’s no problem with openness in our relationship. You know Chrissy. She doesn’t hold anything back! I’m quite reserved, but being with someone like her inspires me to be open about my emotions. She brings them out of me because she’s so open about hers." Back in June, Teigen revealed that she'd like to expand her family through the process of adoption. "I would definitely adopt or have foster children," Teigen shared in a Marie Claire interview. "But I loved being pregnant. Maybe I should be scared [of having PPD again], but I don't know. It couldn't be any worse than it was—could it?" Luna might be a big sister before we know it!